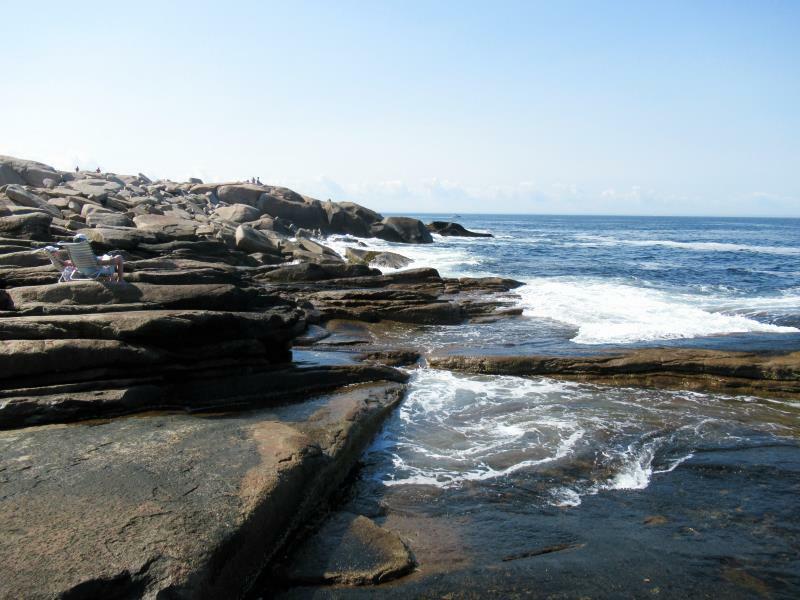 Shore of Cape Ann behind highest observation point. 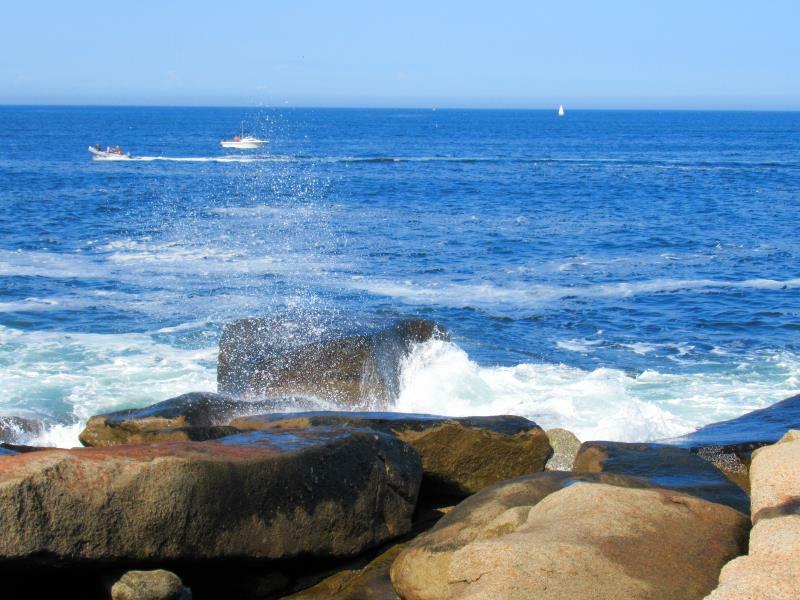 Atlantic Ocean behind the rock of Cape Ann. 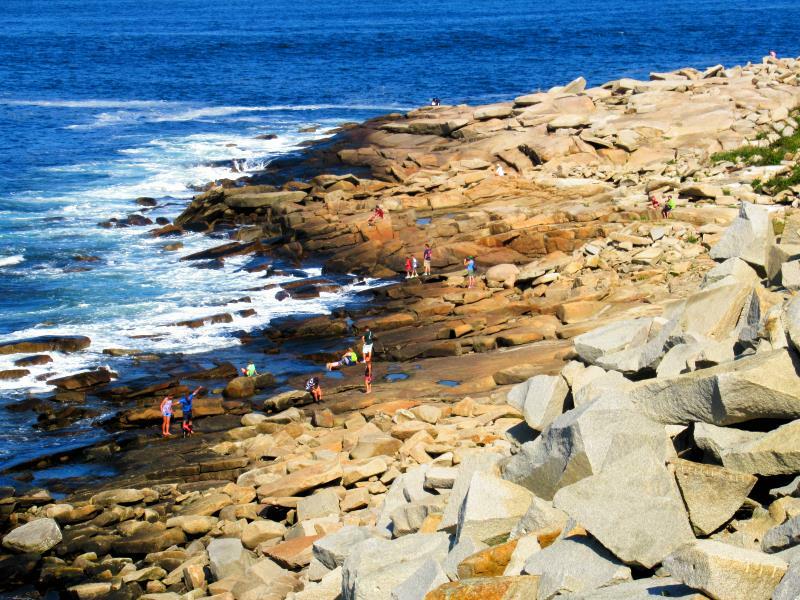 Stone garden at shore of Cape Ann. 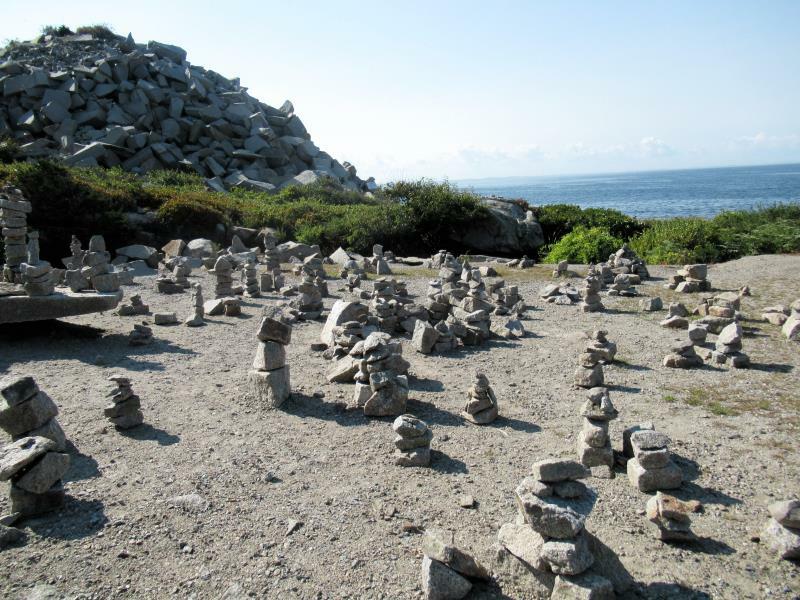 Other stone garden located closer to shore of Cape Ann. 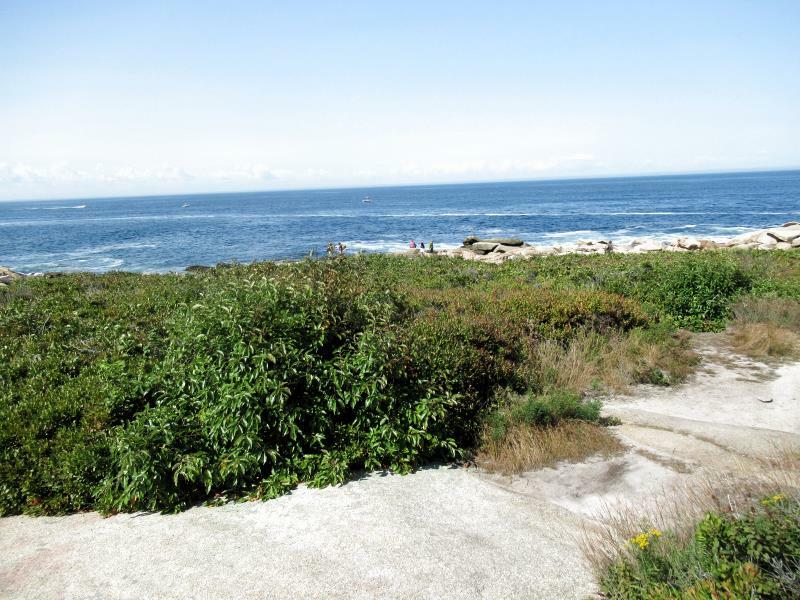 There are few paths to the stone shore via dense short bushes. 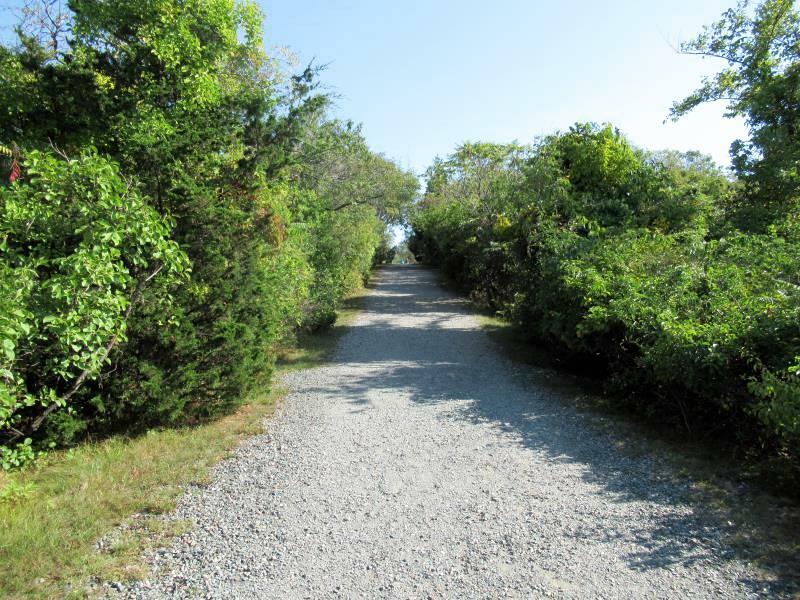 The path inside Halibut Point State Park. 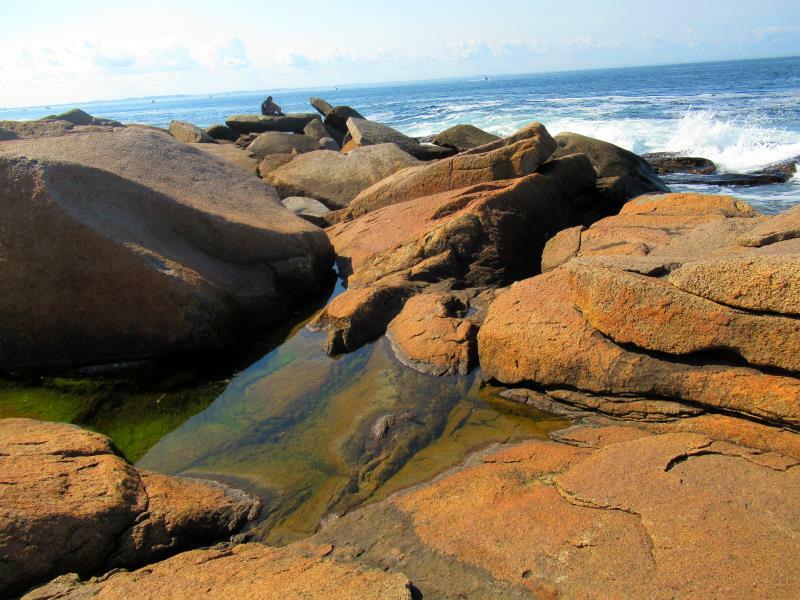 Rocks on shore sometime create small pools. 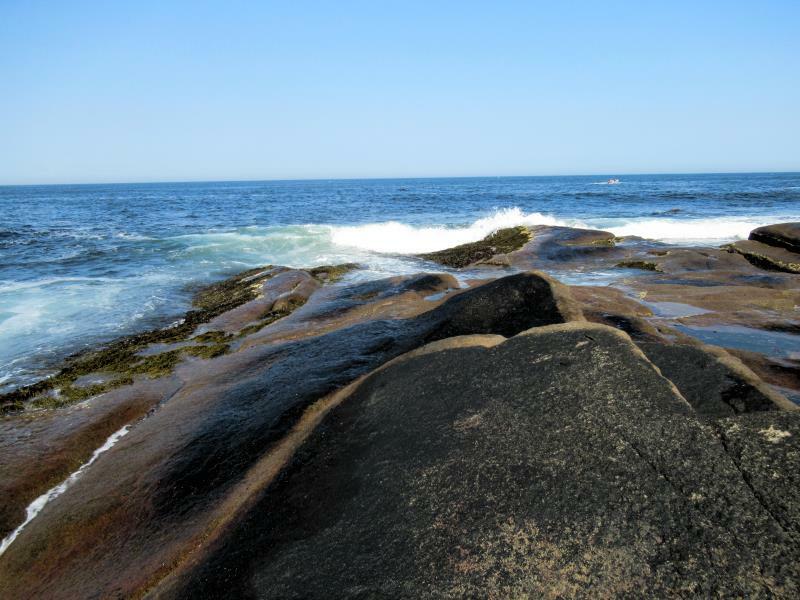 Some rocks on shore became polished to slippery smoothness. 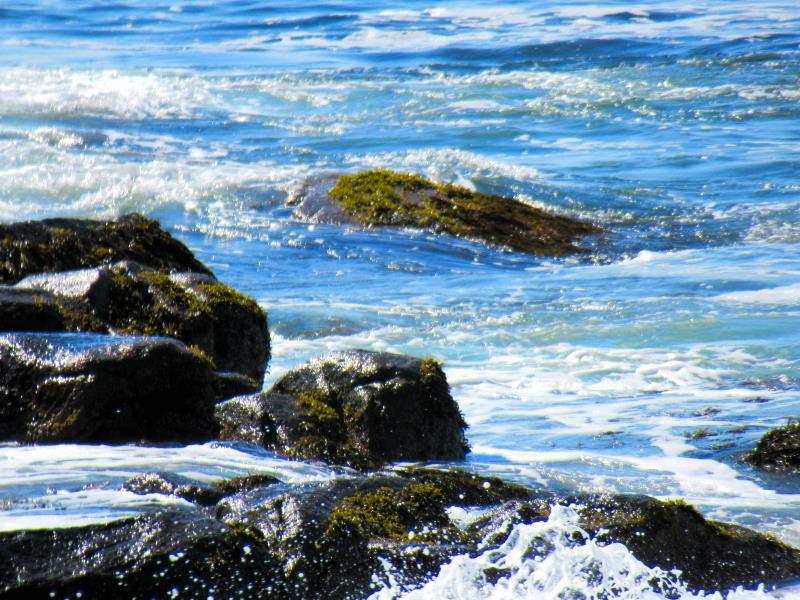 Waves are relentless even in quiet wheather. 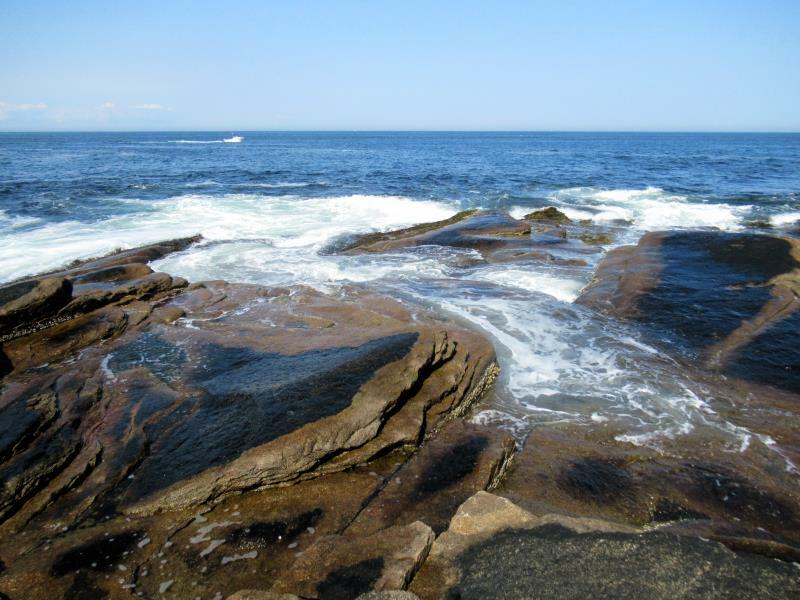 Water receding after wave hits. 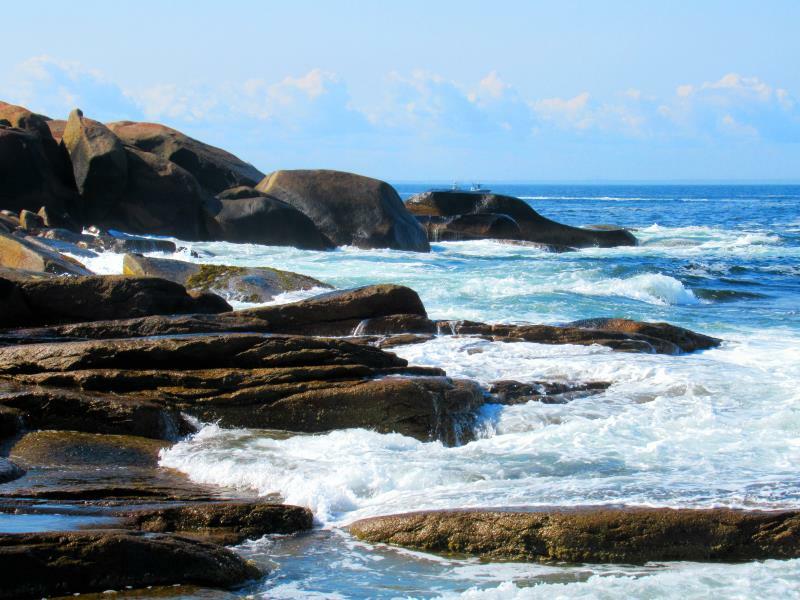 A water covers rock with wave is come. 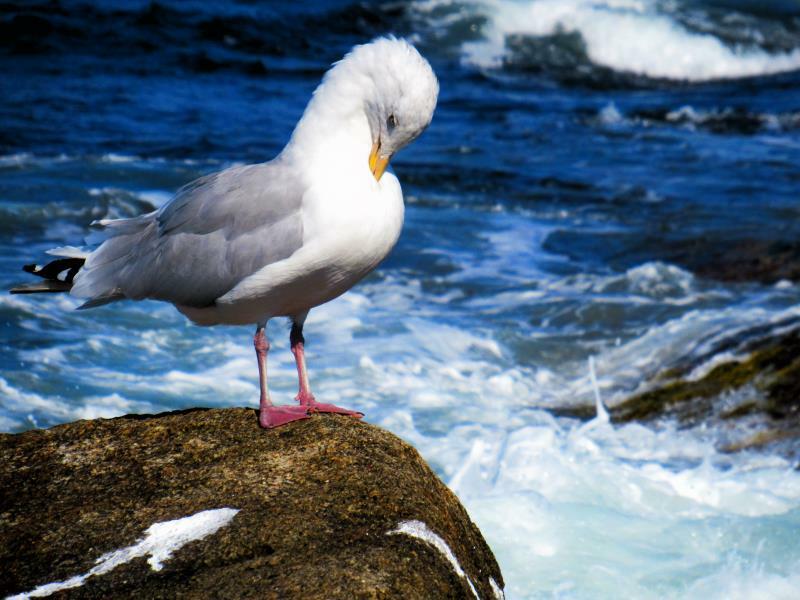 Seagull does hair at the rock near wave line. 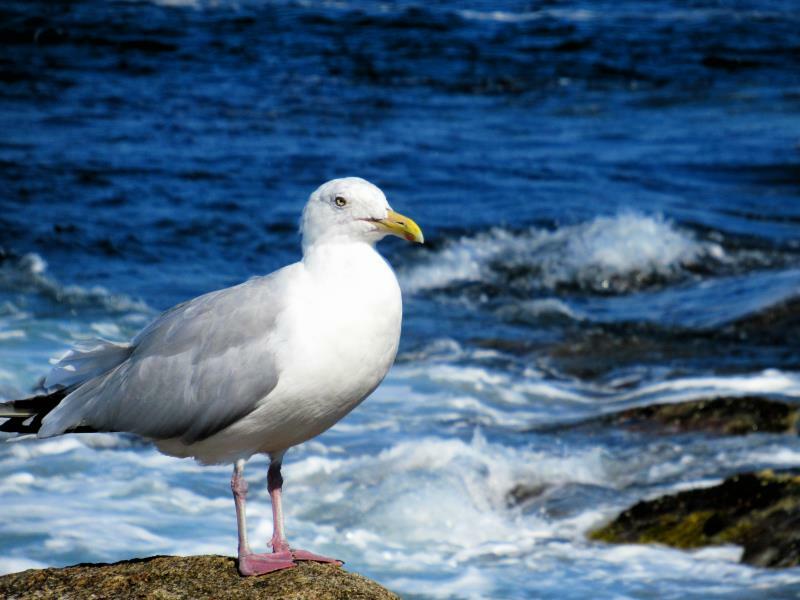 Seagull feels comfortable on the big smooth stone. 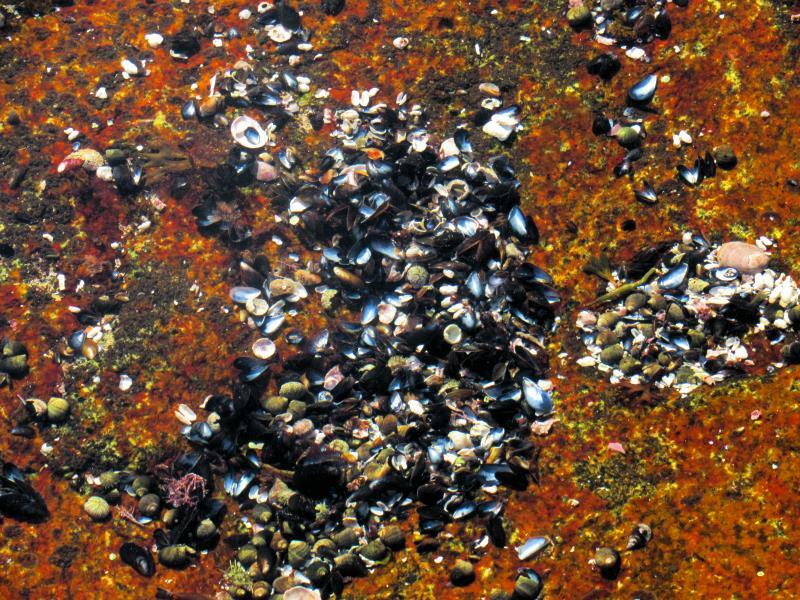 Small seashells are gathered inside puddle at shore flat stone. 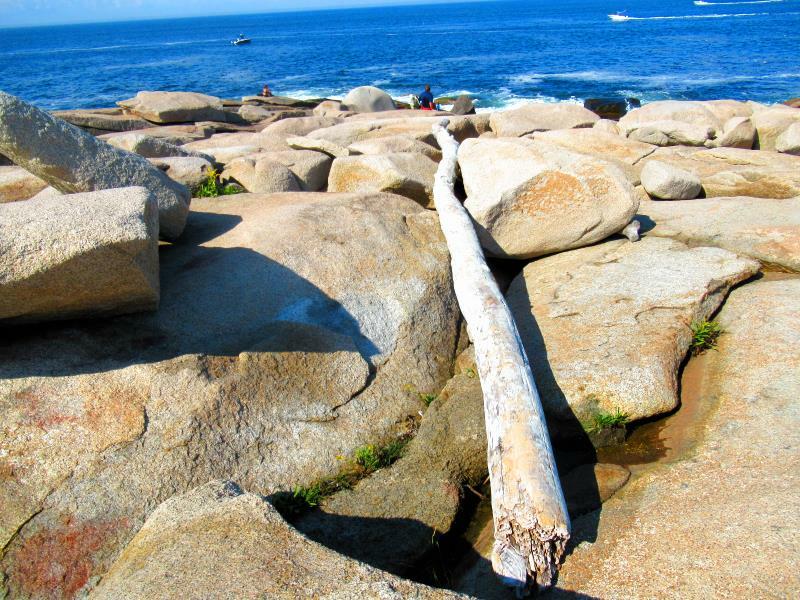 The polished wood trunk on the shore remains that calm whether is not last forever. 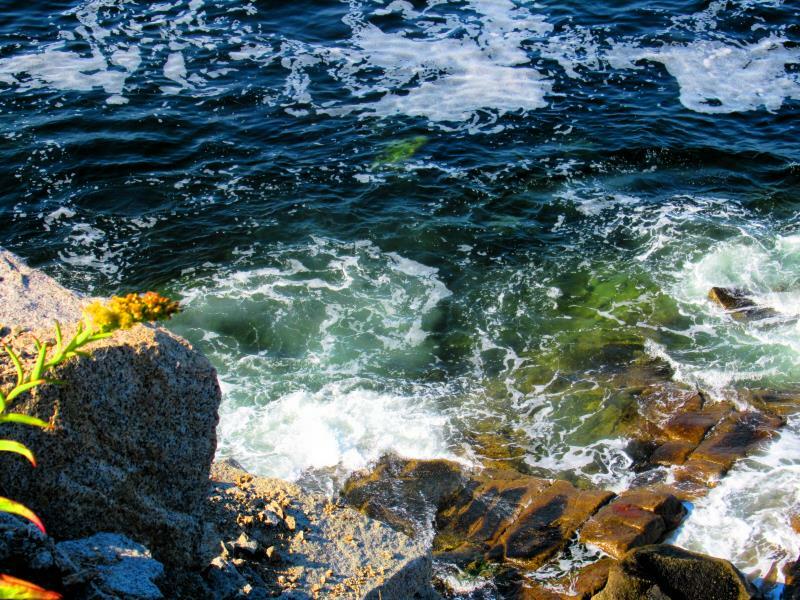 Rockport shore looks as fantasy planet. 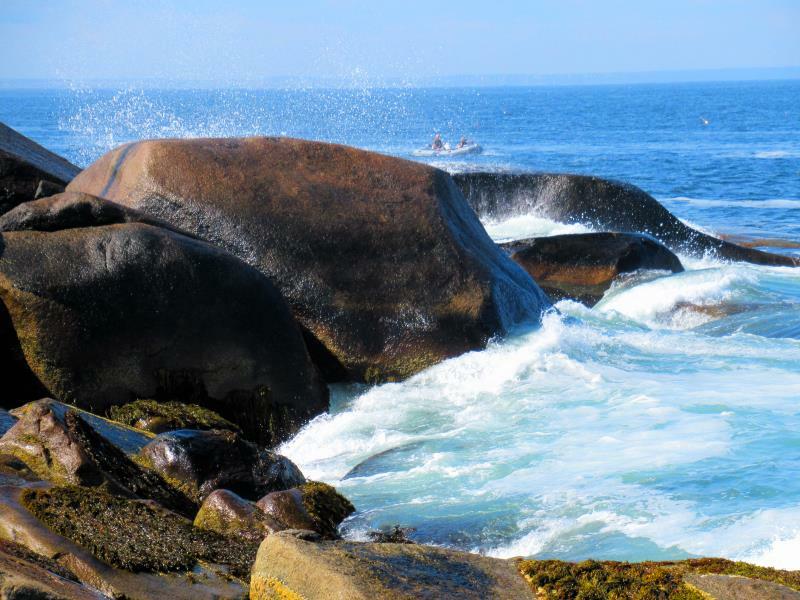 Rock withstand relentless wave hits from begin of the time. 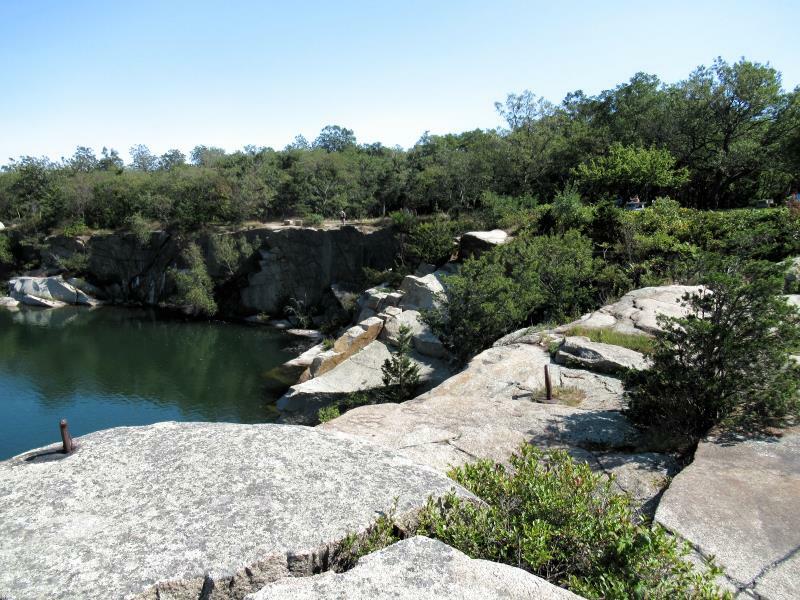 Quarry in Halibut Point State Park. Panorama shot 1 from 9. 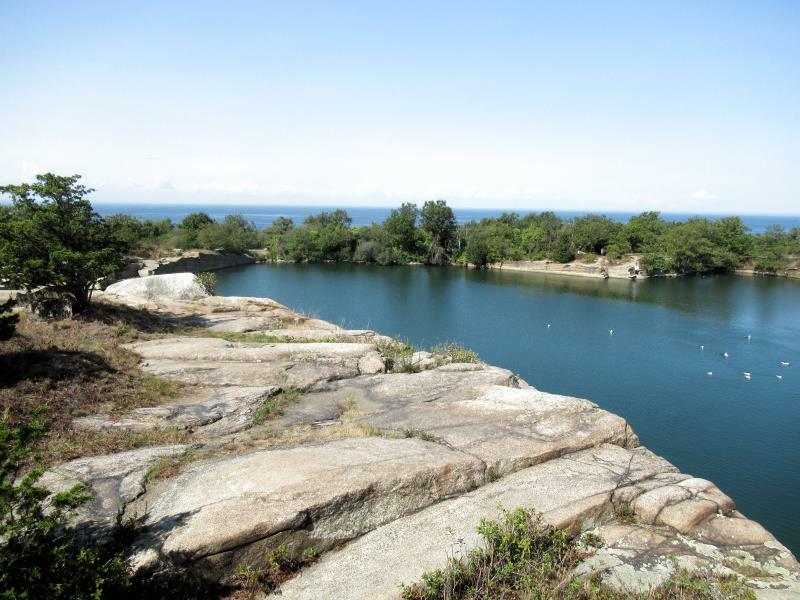 Quarry in Halibut Point State Park. Panorama shot 2 from 9. 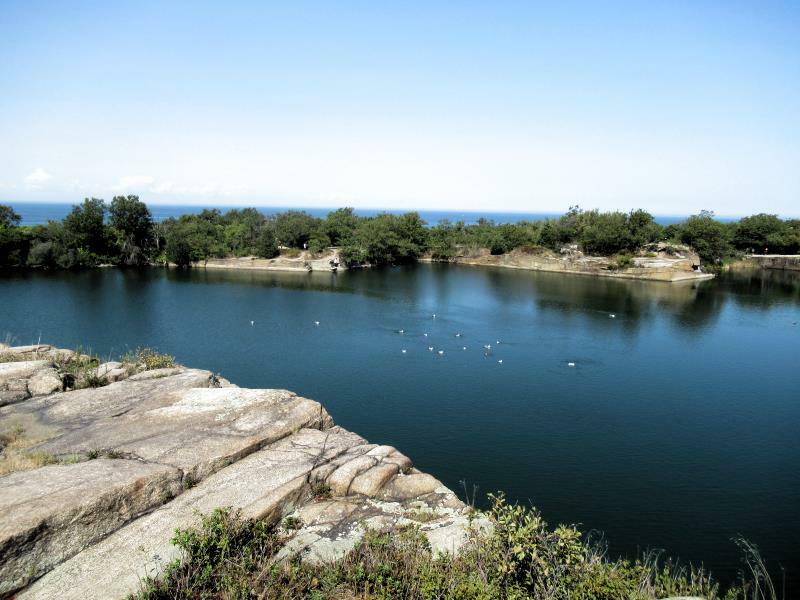 Quarry in Halibut Point State Park. Panorama shot 3 from 9. 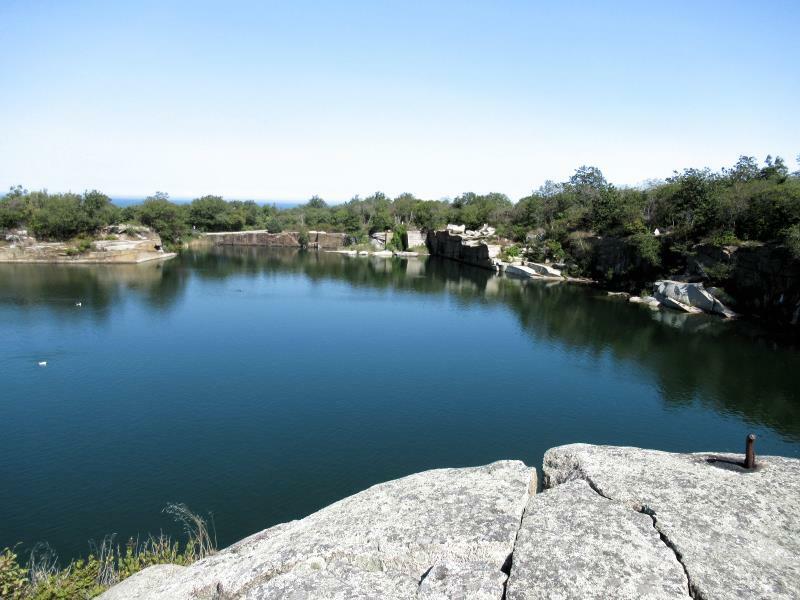 Quarry in Halibut Point State Park. Panorama shot 4 from 9. 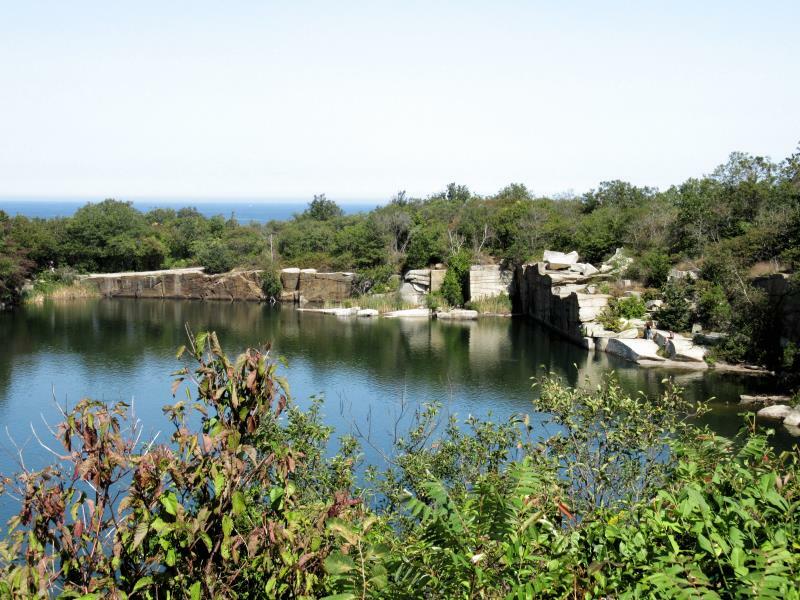 Quarry in Halibut Point State Park. Panorama shot 5 from 9. 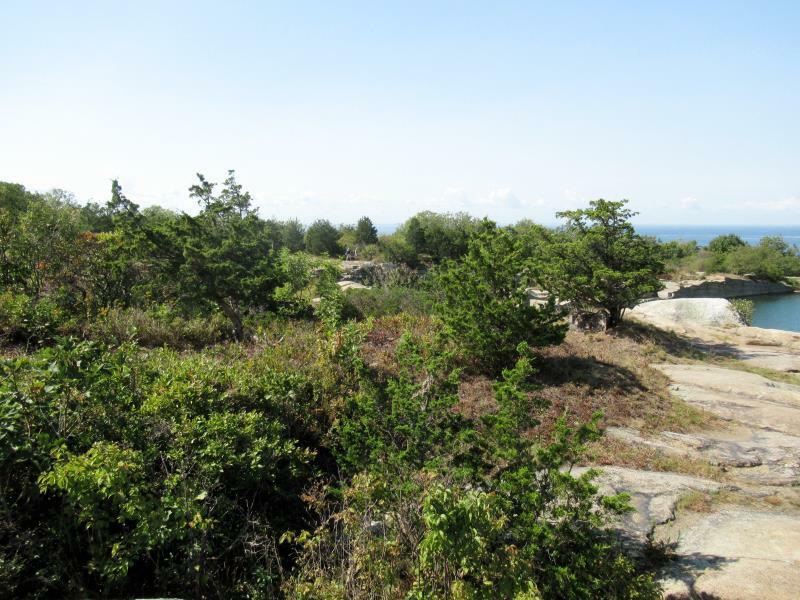 Quarry in Halibut Point State Park. 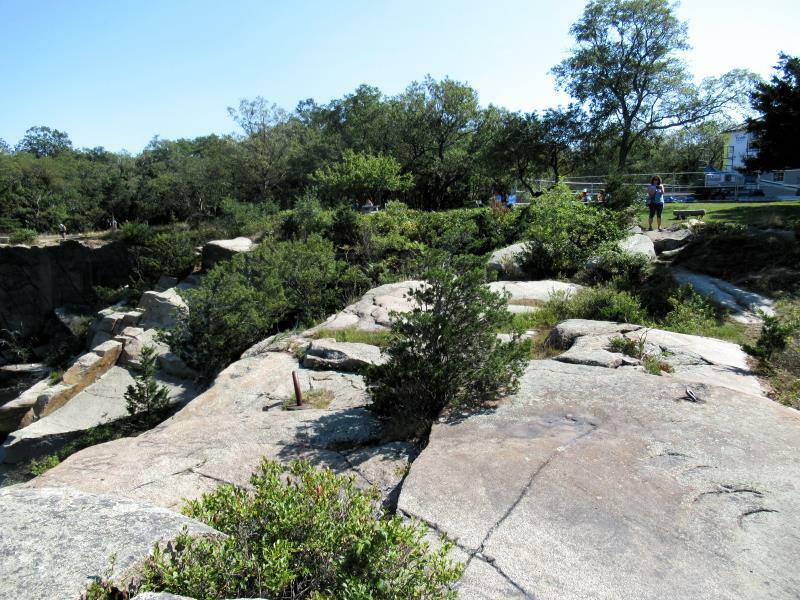 Panorama shot 6 from 9. 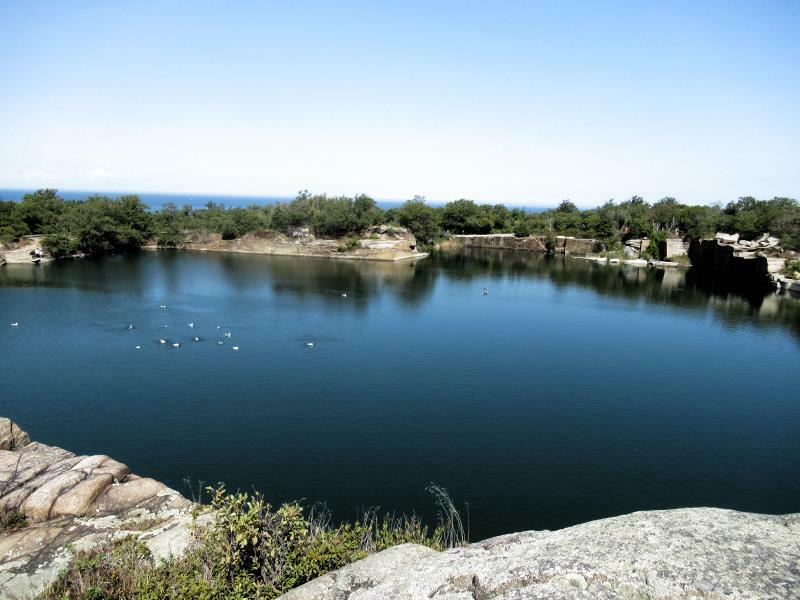 Quarry in Halibut Point State Park. Panorama shot 7 from 9. 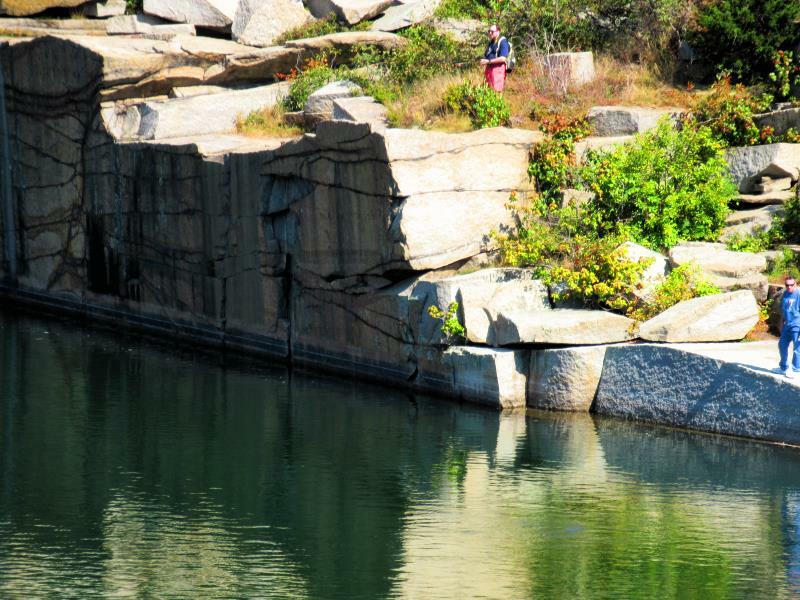 Quarry in Halibut Point State Park. Panorama shot 8 from 9. 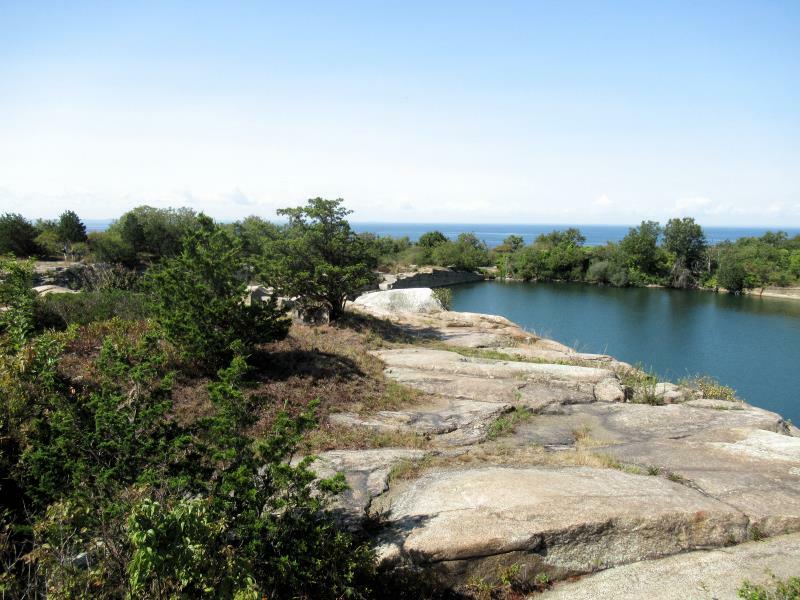 Quarry in Halibut Point State Park. 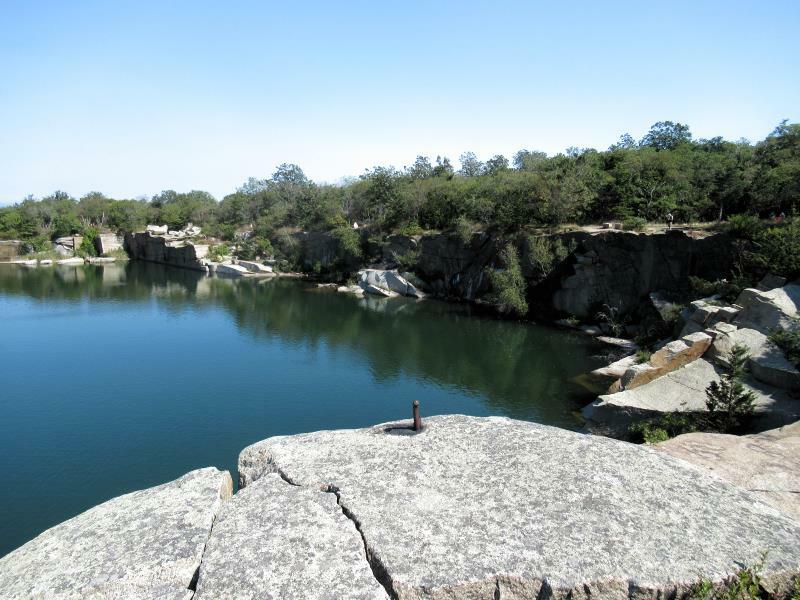 Panorama shot 9 from 9. 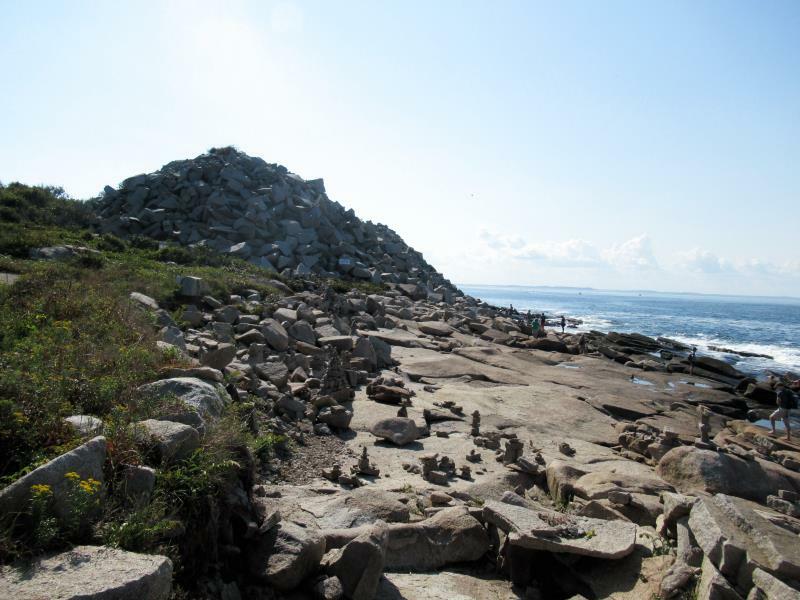 Almost vertical shape of wall quarry in Halibut Point State Park in Rockport, Massachusetts gives a hint off its origin from Cape Ann granite industry. 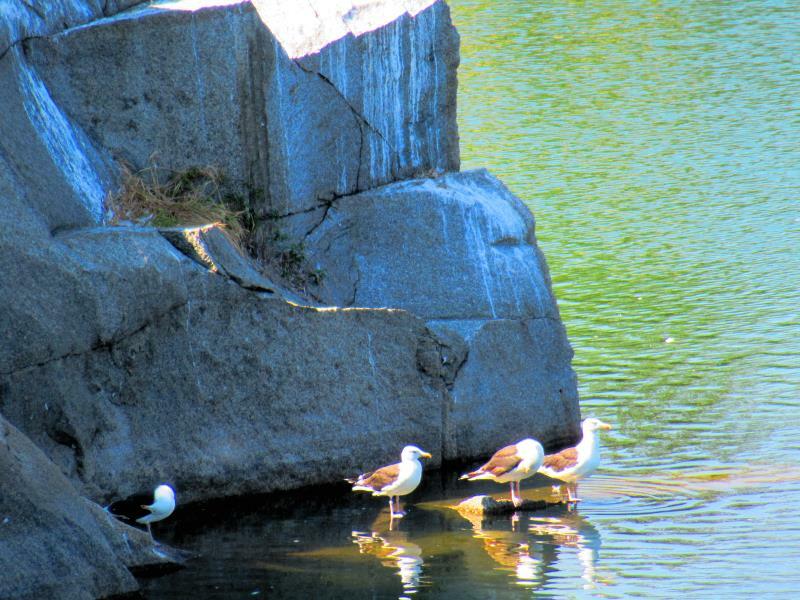 Water in quarry in Halibut Point State Park is good enough for birds to relax. 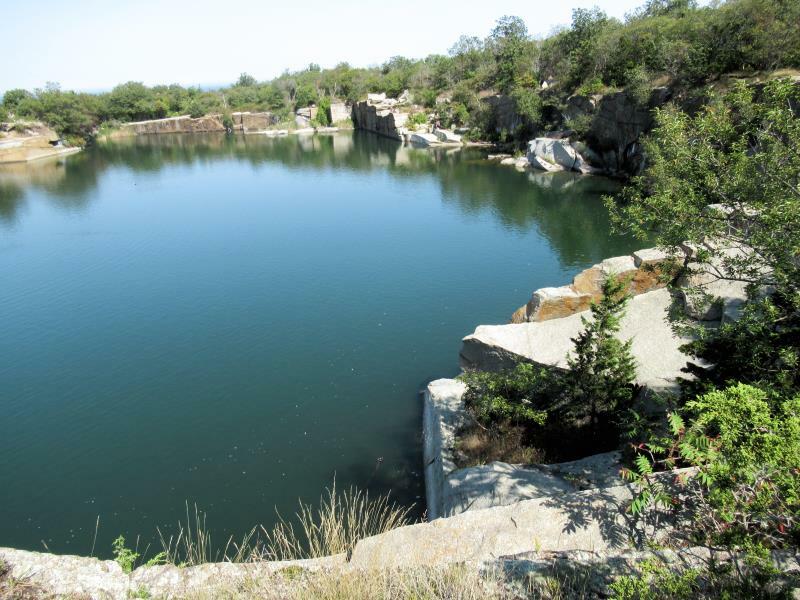 Quarry from lower point of view.